A spit of sand impertinently defying the north Atlantic Ocean to the east and hetero social tides to the west, Fire Island is a minor geographic feature on the American continent that has assumed a disproportionate significance for many of us on the sexual margins of society. Growing up queer in 1970's England, full of lust and fear, I read wide-eyed John Rechy’s dry but moist descriptions of his weekend ferry rides to foment sexual revolution on the dunes. Taking courage from his lead and clad in his borrowed armor, I put my face to the world and fought for everything I knew to be just. 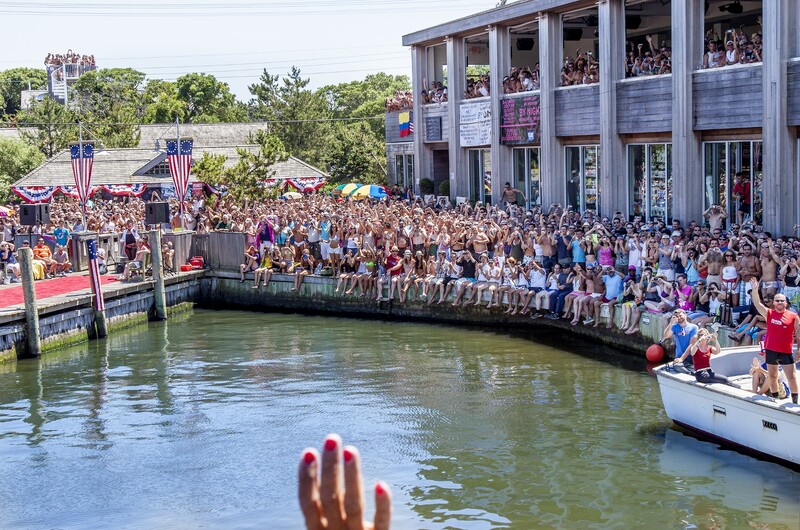 So it came as a surprise to learn that a new, less permissive orthodoxy reigned in parts of Fire Island during the years following the Stonewall Revolution (the famed series of demonstrations carried out by members of the LGBT community in Greenwich Village, Manhattan in response to police raids). 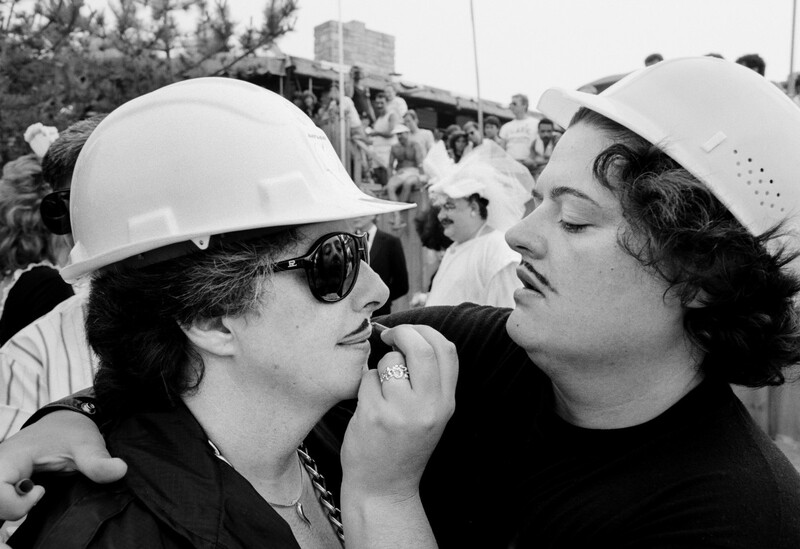 While enjoying the new social normalcy that was fought and won by the drag queens of Sheridan Square, the gay community of the Pines neighborhood of Fire Island rejected that very same frocked disruption when it visited in 1976. Terry Warren, visiting from nearby Cherry Grove, found himself ignominiously barred from a Pines restaurant on account of his drag. 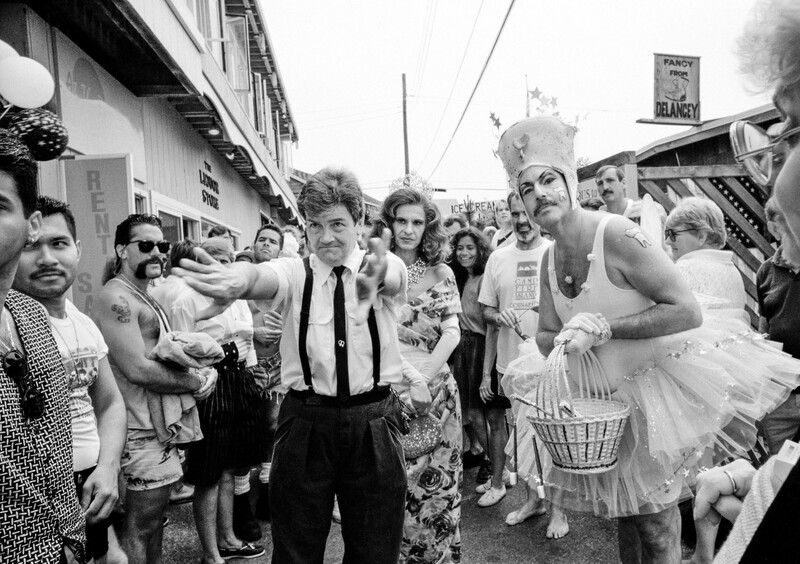 But just as the police learned during Stonewall in June 1969, or anyone who has dared heckle a drag prima donna, so the Pines had to learn all over again: try to put a drag queen down, and you get a boatload of trouble. Several boatloads of trouble. 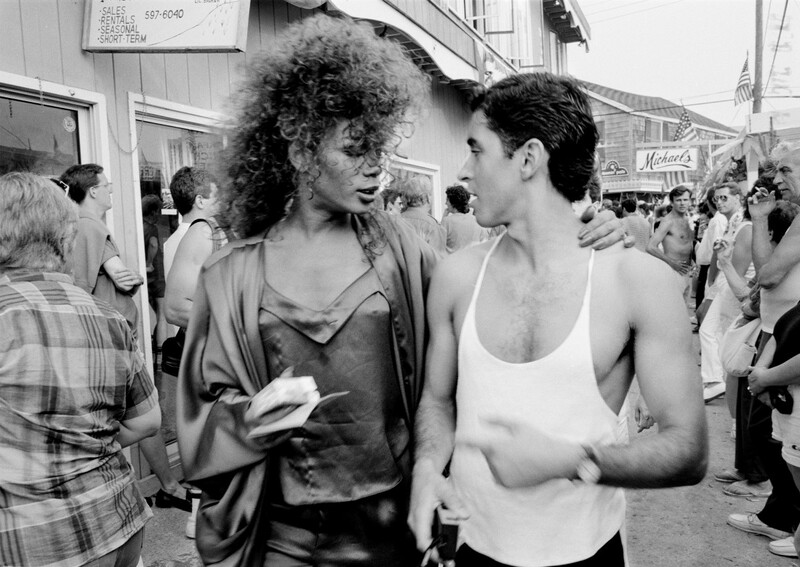 Actually four decades of trouble that flooded through the Pines dock in a relentless tide of joyful rage, bestowing delightful indignity on the suave self-confidence of the Fire Island modernists and the studied nonchalance of Tom Bianchi’s Polaroid princes. The Invasion! The annual assertion of pride among the proud. For 30 of these years, photographer Susan Kravitz brought her camera to the party, not merely documenting but celebrating with the exuberant throng, throwing the viewer into the heart of the swirling melee. In her hands the camera becomes more than a mechanical device, it feels alive, an active participant flirting, jabbing and laughing with the Invasion queens. Sometimes coy, sometimes brash, sometimes shyly sneaking a peak and other times boldly holding ground for a long hard stare, Kravitz and her camera partied hard. To immerse yourself in the energetic tumble of Kravitz’s book is to put yourself in heels and to join the ladies with an attitude. Strike a pose, there’s nothing to it! It’s history and one could call it documentary, but these pictures are more like a performance, as much part of the playful action as the action itself, ephemeral yet caught by the shutter and revitalized with every flick of the page. Just as a score pins music to paper, to be experienced again even after the last echo has faded, so Kravitz has created a living document that lives as loud as your imagination will allow. Yet here’s a strange contradiction. Although photographed across 30 years, the Invasion has the appearance of having happened in a single afternoon. The interplay of color with black and white betrays the advance of technology through the course of the (decades-long) party and careful study reveals recurring characters that mysteriously age from dawn to dusk. It seems that having sparked the revolution that caused all American society to shift its ground, pushing honesty and love into the sun and bringing the love that dared not speak its name bounding to the altar, like modern day Peter Pans, the drag queens themselves will never change. However hard the camera stares, even in the midday sun, this and other ambiguities remain forever mysterious. What exactly is this drag phenomenon that exposes itself so boisterously yet retains its inscrutable confusion of role and reality? Are we looking at disguise or revelation as gay activist Panzi (AKA Thom Hansen) leads the dance of political reality and social fantasy? Is this parody or praise, mockery or commentary, release or repression? Looking at the characters of the Invasion and understanding that these doctors, social workers, academics, and delivery people exist in parallel lives, sharing the same offices and sidewalks unrecognized but rubbing shoulders with the rest of society, one is forced to understand that there are no boundaries. The drag queens are our neighbors, and we are all one and the same in a super quantum social swirl. Groucho Marx observed, “I refuse to join a club that would have me as a member.” And as the morning after reveals ordinary citizens returning to their lives in the city one is left wondering who is included and who is excluded in this annual ritual of social embrace. Let confusion reign! Stephen Mayes is a queer activist and member of London’s direct action group OutRage! Across the last 30 years he has managed the careers of many of the world’s leading photographers in journalism, fashion, art, and commerce. He’s seen the inside of police cells and TV studios as he campaigns while writing, lecturing, and broadcasting on the ethics and realities of photographic practice. Susan Kravitz began her photography career in the 1970s. She holds an M.F.A. in Photography from Long Island University, and her work has exhibited globally. 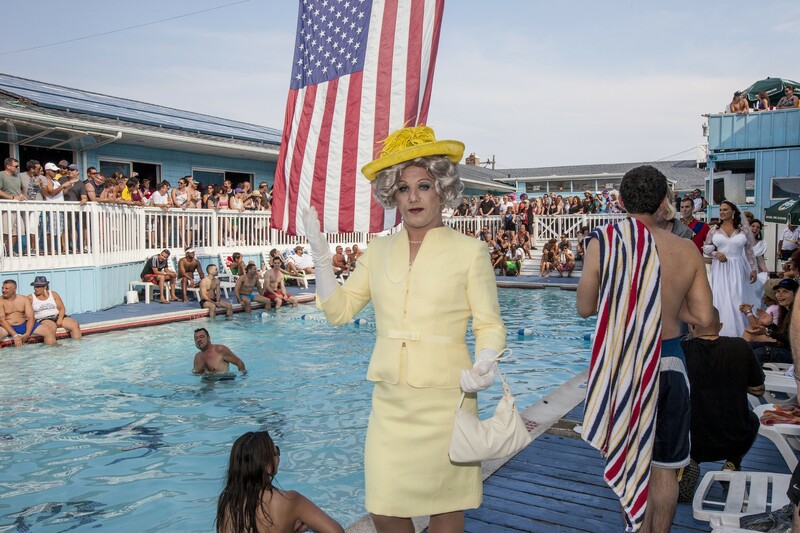 Her book, “Mascara, Mirth and Mayhem: Independence Day on Fire Island” was released on July 4, 2016 to critical acclaim. 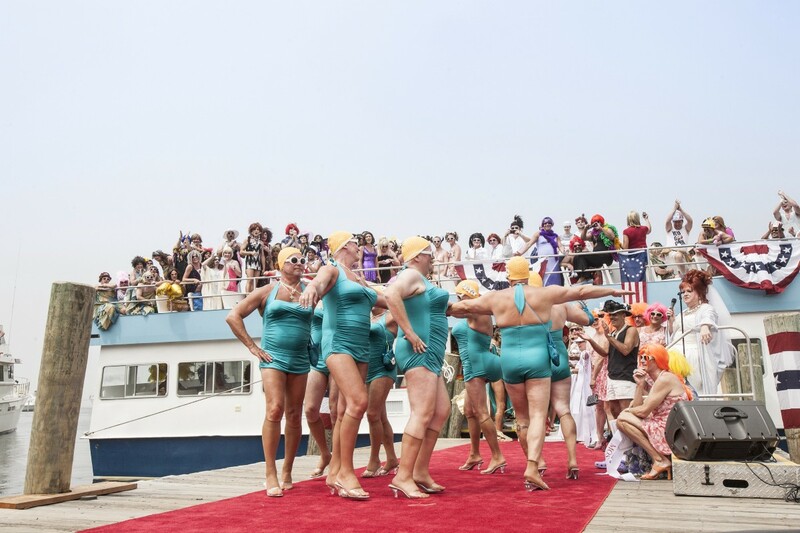 A version of this essay was originally published in Susan Kravitz’s book “Mascara, Mirth and Mayhem: Independence Day on Fire Island.” The book is available from Susan: susan.kravitz@mac.com. Thanks to Peter DiCampo and Elie Gardner.